At the end of the month June the brightest planets Jupiter and Venus have reached their minimum apparent separation of less than half degree (Full Moon diameter). 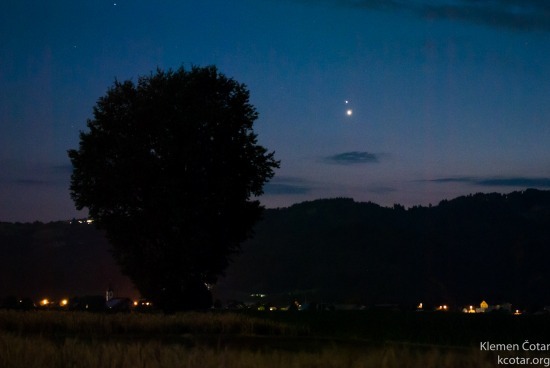 Conjunction of the planets as seen on 30. june 2015. Image exposition of 5 sec. 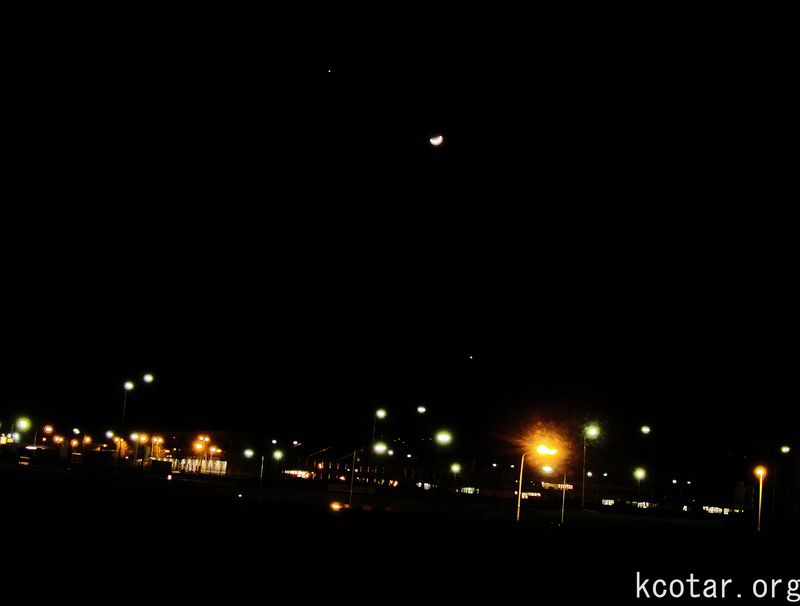 A day later, the planets have changed their position in the sky quite noticeably. 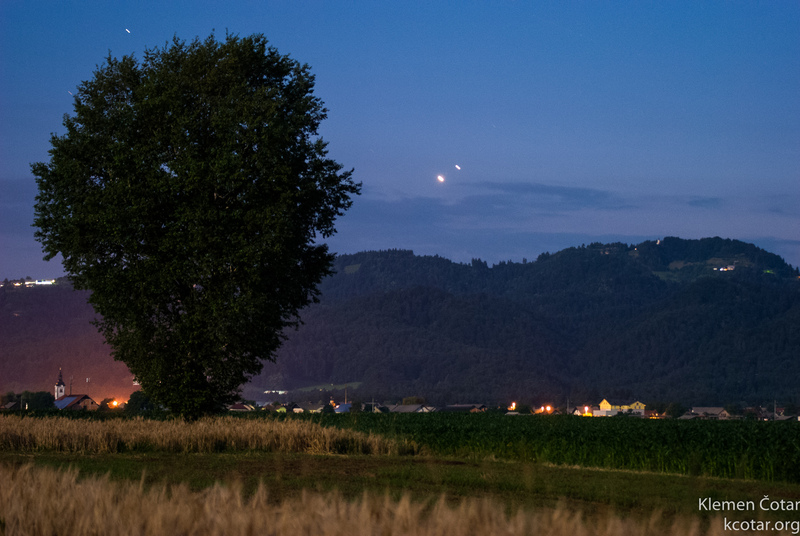 Conjunction of the planets as seen on 1. july 2015. Longer exposition that lasted 25 sec. 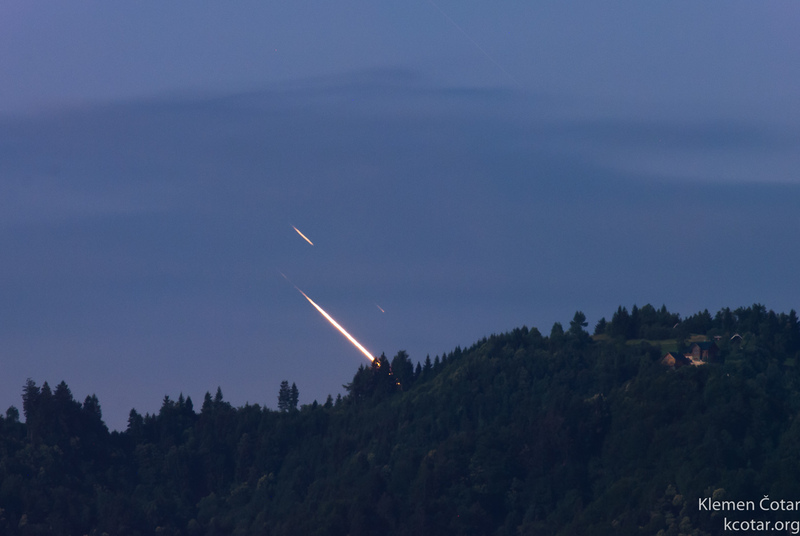 Unfortunately this is not a very bright meteor, just both planets setting behind a nearby hill. They were barely visible by naked eye, but the long exposure reveals their path between the clouds that were present on the horizon. For this image exposition lasted almost 4 minutes. 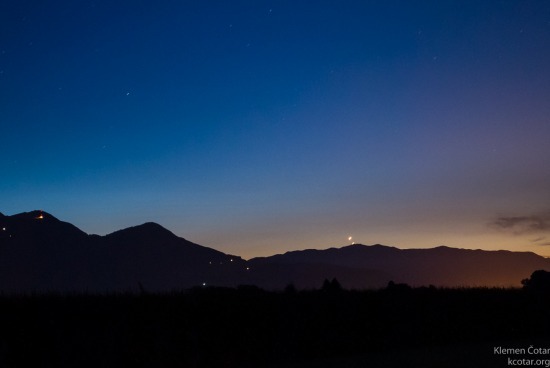 Object: Jupiter and Venus rising behind the mountains. 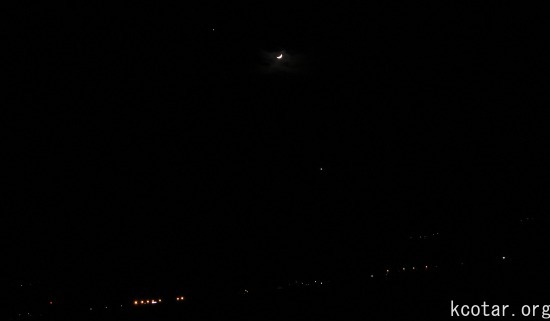 Object: Jupiter and Venus later, higher in the sky. 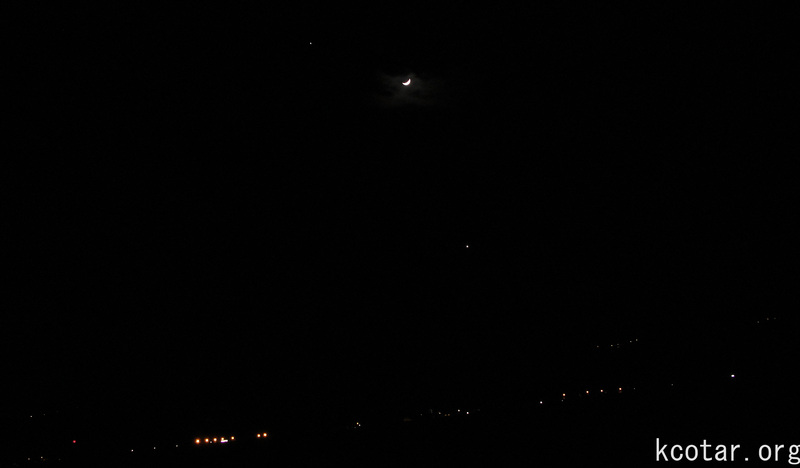 Object: Telescopic view of the conjunction. 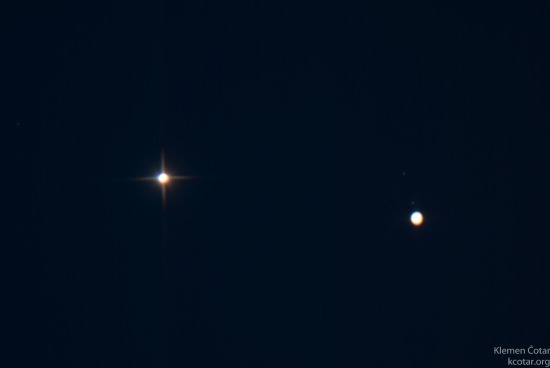 Two Jovian moons are visible besides the planet. 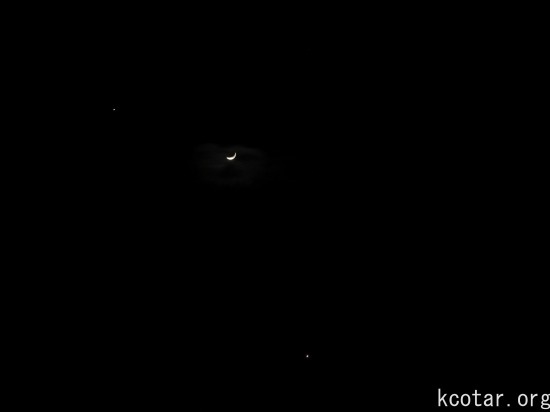 Finally the sky cleared up and was able to observe this beautiful conjunction. 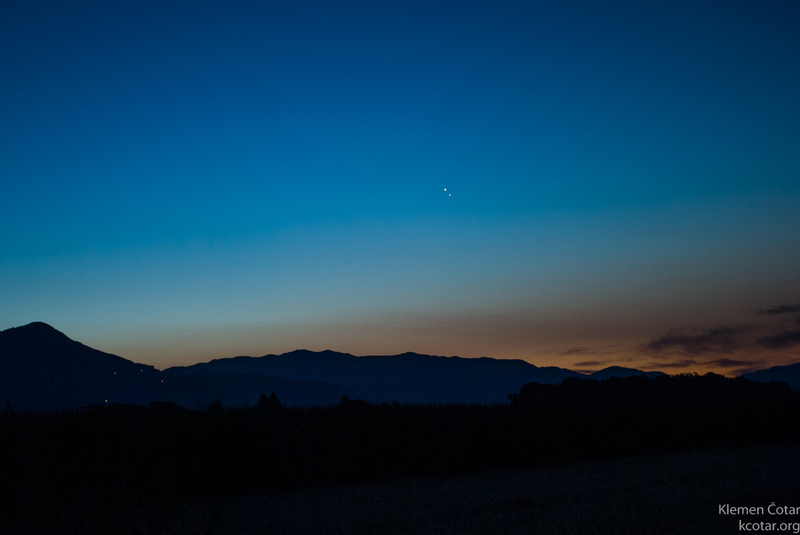 The brightest objects in solar system Moon, Jupiter and Venus have gathered to form a bright triangle in sunset sky. Weather was windy but totally worth it. Visible even through city light pollution.